Retargeting: Bringing Your Website Visitors Back For More!!! In most cases, only two percent of shoppers buy something the first time they visit an online store. Retargeting brings the other people back by displaying your ads to them while they go to other sites online. 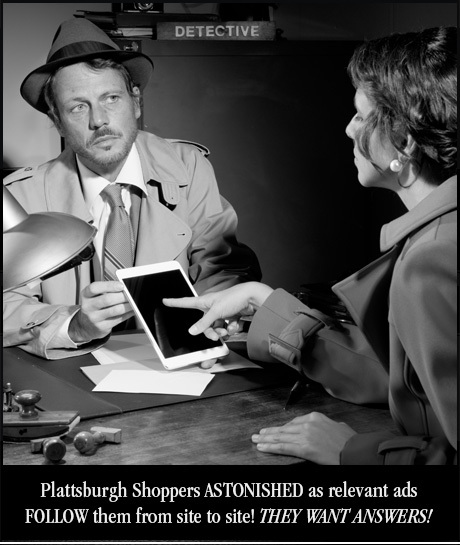 –PLATTSBURGH, NY: With retargeting you can entice them back to your turf and try to get them to make a purchase, sign up, or any other action. This is a powerful digital marketing tool, but it must be used with care.